Being grounded has lots of benefits. Aside from all the health benefits being researched, being grounded means you’re not easily swayed by all the energies you encounter throughout the day. You aren’t easily swept up into other people’s drama or emotions. You are firmly planted inside your body, attached to the earth, and thinking and acting in clear, decisive ways. It is extremely important to ground yourself before doing any kind of energy work or meditation. This helps as a very basic protector against other people’s energies and emotions, keeping you clear for working for your highest good. There are many ways to ground yourself, and I encourage you to play around with different ideas and find what feels best to you. 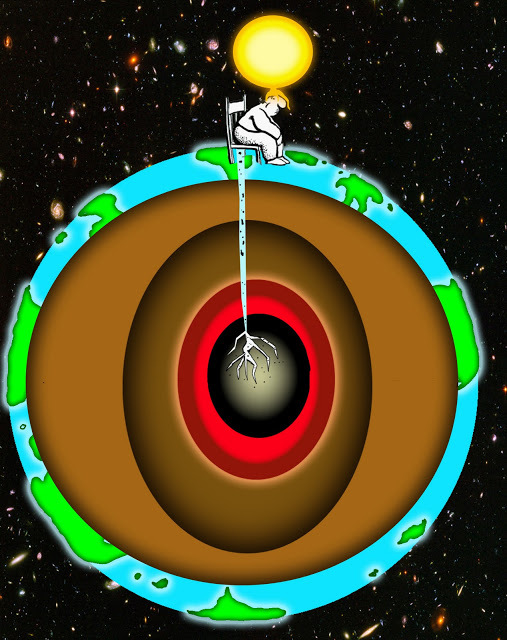 I was originally taught to imagine a cord coming from the base of my spine, traveling to the center of the earth. I find I encounter fewer blocks and interruptions if I go in the opposite direction. You should find what’s best for you. With practice, this will be a very quick process, and you will be able to do it anywhere, and while doing other things. But to start, it’s a good idea to make it a ritual with your undivided attention, until it becomes second-nature to you. Sit or lie comfortably. If you are sitting, place both feet firmly on the ground. Imagine a ball of light in the center of the earth. Imagine that light traveling from the center of the earth, meeting with the bottoms of your feet, and traveling up your calves and thighs to the base of your spine. Feel the stability and strength from that cord of light. Use this grounding cord to dispose of any energy that doesn’t belong to you or serve your highest good. Practice grounding yourself often. Once you get your visualization down, you’ll find this process to be very quick. Soon, it will be as natural as breathing. If you are a Reiki practitioner, it is very important to ground yourself prior to sessions. I love to hear from you! How do you ground yourself? How does this technique work for you? Let me know! I really apaprciete free, succinct, reliable data like this.